Sponsored Post – Get your message across with PixiClip! Even though we live in an age of online communities and instant walkthroughs, there’s a human factor out there that all this technology just cannot touch. For instance, imagine being able to offer rapid-fire communication with visual aids. Hell, as much as I love YouTube, doing just that takes time. What you need is a platform that will allow you to offer such communication, instantly. What you need quite frankly, is PixiClip. So what exactly is PixiClip? 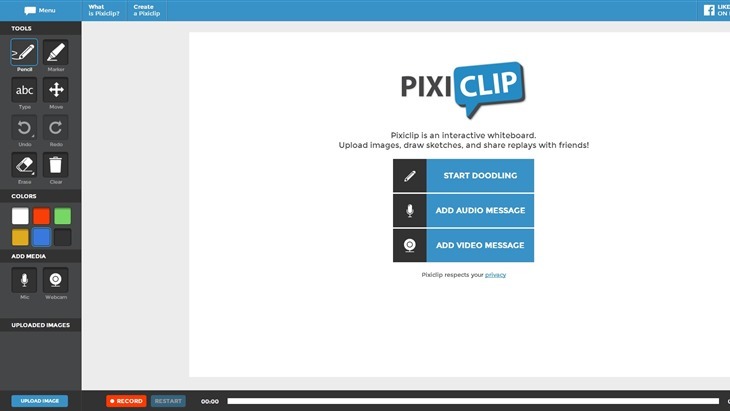 Well, to put it simply, PixiClip is an online canvas that allows you to get your message across with a webcam and your PC. Need to point out an inconsistency in a photo? The program has plenty of art tools for you to pick up and do just so. Need to walk someone through some files and pictures? Upload them instantly, fire up your webcam, say what you need to say and hey presto! An instant video without the need for tedious uploading or conversions into a friendlier visual format. So you have at your fingertips a screencasting whiteboard that allows you sketch, broadcast and type messages at the click of a mouse button. Best of all, it’s completely free and it offers your usual hyperlinks, social media links and embedded videos as you’ve seen above. It’s a fantastic tool, and the potential applications are staggering. Give it a try, and see for yourself what we’re talking about.